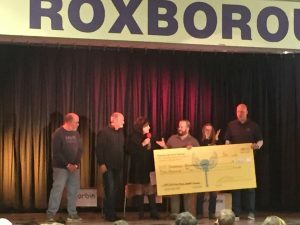 Roxborough Music festival thanks everyone who attended and volunteered. We are a very special community because of our involvement and caring neighbors! Hi Chad. My wife and I went to see The Long Run band just last night – and really enjoyed ourselves. Wanted to take in another one of their shows this summer – and saw that they are playing for you at Arrowhead Shores. Is this venue open to “non-residents” – or only for those folks that live in your community? Would love to attend if possible – but would not want to plan on “crashing” an event meant only for the residents of your community. Please let me know when you have the chance. I have not seen the HOA restrict people to the concerts so anyone should be able to attend.